There has been a slight change to the route for next Sunday's Harbour Front Southside 10K. The start AND finish line is now located just west of Waterford Lane on Southside Road. 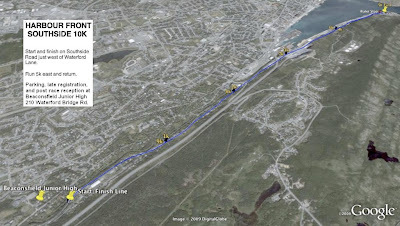 Course is out and back running east 5k to the Small Boat Basin where runners turn for the return 5k.